The Absolute II is one of the best squirrel-proof feeders on the market. The perch is controlled by a weight-sensitive spring which closes the seed opening when triggered by the weight of a squirrel. When the squirrel departs, the cover lifts to expose the feed again. 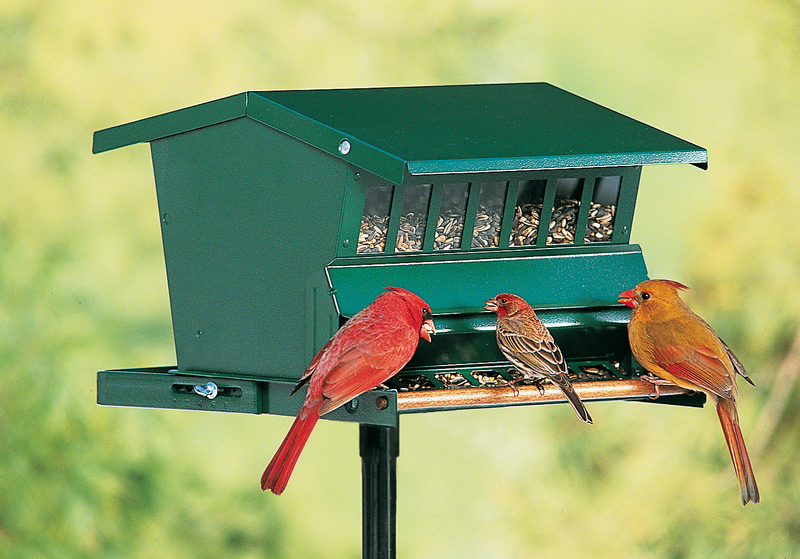 Made of durable, powder-coated steel, the Absolute II features a seed saver baffle and seed level indicator window. 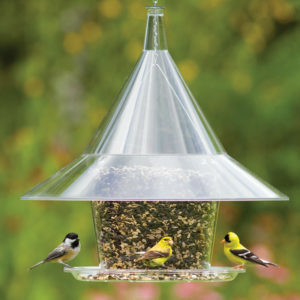 Its hinged top makes it easy to fill the feeder with up to 2 gallons of seed. The Absolute II comes with a hanger and a 5′ pole kit so that it can be hung or mounted with ease. 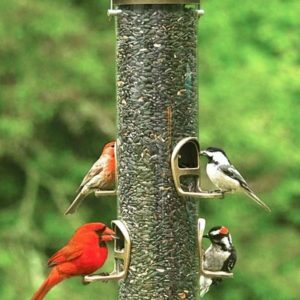 Fill this feeder with black-oil sunflower seeds, safflower seeds, or mixed seeds to bring a variety of birds to your backyard. 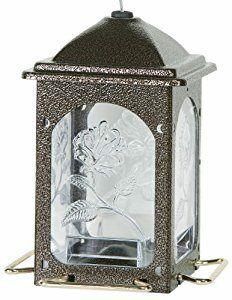 WEIGHT SETTINGS- LIGHT- BIRDS UP TO 2 OUNCES, MEDIUM-BIRDS 2 TO 4 OUNCES, HEAVY 4 OUNCES AND UP.